Thinking about going vegan, or just interested in learning more about it? “Why Veganism?” is the ultimate brief introduction and is filled with facts, research findings, and useful information about veganism! 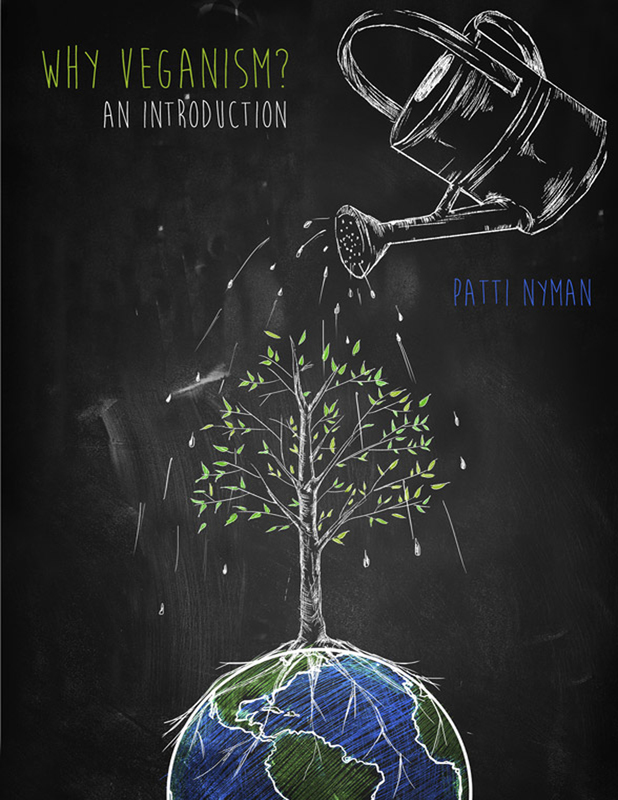 “Why Veganism” is a short but comprehensive educational tool for both vegans and non-vegans that outlines current issues pertaining to the consciousness of animal use, the ethics of veganism, animal agriculture and environmental destruction, and eating animals and human health. It offers a concise summary of the worldview that understands the natural world and animals as things for human use; the contradiction between valuing animals and opposing their suffering while making choices that perpetuate that suffering; environmental issues such as climate change, deforestation, resource use, “organic” and “local” animal use, world hunger, and the oceans; other forms of animal use such as experimentation, wearing animal skins, animals as entertainment, and the pet industry; moral responsibility and common ways that we avoid it; and human anatomy and human health issues related to eating animals. In doing so, the author demonstrates the necessity of veganism as a response to our most pressing issues. We need more books so that we can counter the arguments of meat eaters. If you are feeling judged, perhaps it’s because you’re learning some things about factory farming that are making you uncomfortable. That makes sense; the factory farming industries behave in an amoral way that most people find inhumane and offensive. Yes, it is your decision what industries you choose to support. But making any choice requires being informed about BOTH sides of the issue. I suggest that you do some research into modern factory farming methods and then make your call.